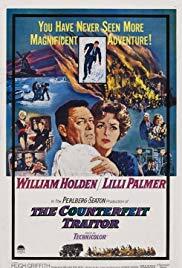 William Holden, Hugh Griffith & Lili Palmer star in this WWII suspense film, with Holden as a double agent. Based on a true story. This drama, directed by George Seaton, is a detailed portrayal of what it was like for citizens living in countries occupied by the Nazis.